Keen Koala: What Weed Is This: Creeping Bell Flower, The Zombie Weed That Just Won't Die! 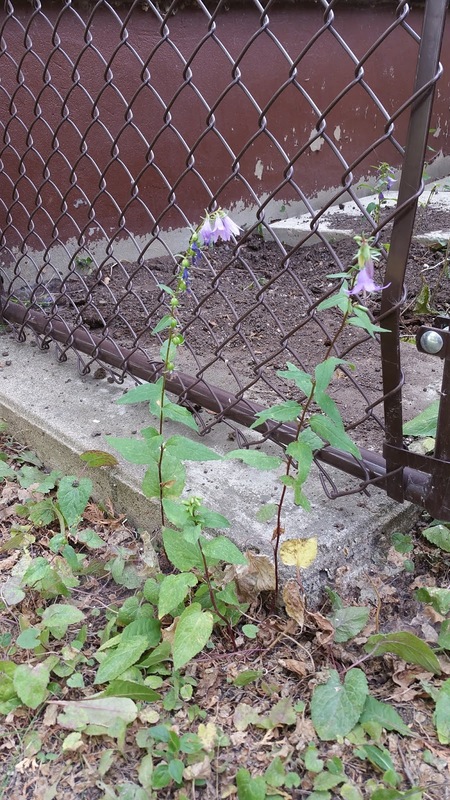 What Weed Is This: Creeping Bell Flower, The Zombie Weed That Just Won't Die! Campanula rapunculoides, more commonly known as creeping bell flower is an invasive perennial foe to gardener's everywhere. Oftentimes a person will move into a new house and see this cute little purple bell flower growing in the corner of their garden. Thinking how pretty it is and that it's not doing any harm, they leave it. A few years later they notice that it has taken over the entire garden plot, invaded their lawn, and their entire existence. When small this weed looks kind of like an innocent little ground cover. Check out the photo below to see what it looks like. In a few weeks it will start growing upwards until it reaches its mature height and will make numerous purple bell flowers. Now, there are many purple bell flowers that are perfectly harmless non-invasive garden perennials, but this one is not. Creeping bell flower is a very hardy perennial weed that will come back every year. It's drought tolerant and can grow literally anywhere, sun or shade, it doesn't care. Anywhere that there is available space, it will thrive. This is why Creeping Bell Flower takes over spaces very quickly. It spreads by underground tubers and flower seeds. They also have very long and thick tap roots which are nearly impossible to remove completely, even with digging. The roots look something like a parsnip. Pulling this weed does very little because it will just send up new leaves from the tap large root where it stores it's energy. I have spent many hours picking this weed. Rototilling will work in the very short term, but it's likely just to break the weed and it's roots up into smaller pieces that will come back with a vengeance in just a couple of weeks. Well, I'll just douse it with some glyphosate (Roundup) you say. 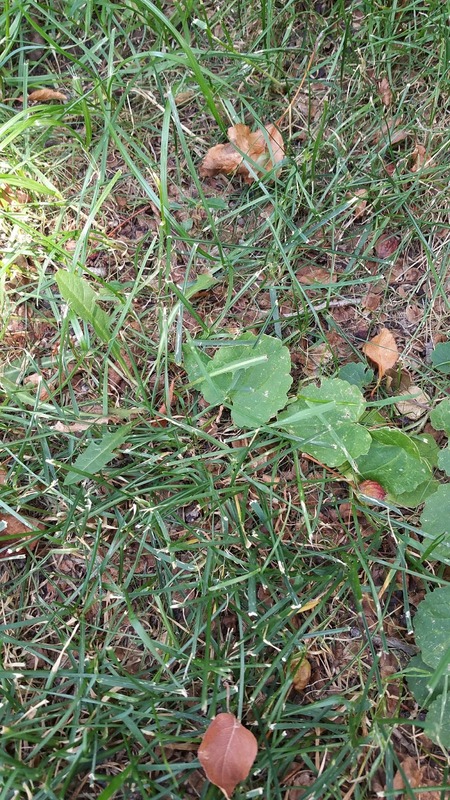 Roundup may slow down this vigorous weed, but it likely won't kill all of it. Once it has invaded your lawn, you pretty much have to learn to live with it, because lawn-safe herbicides won't kill it. With all this being said, I hope you don't get discouraged. 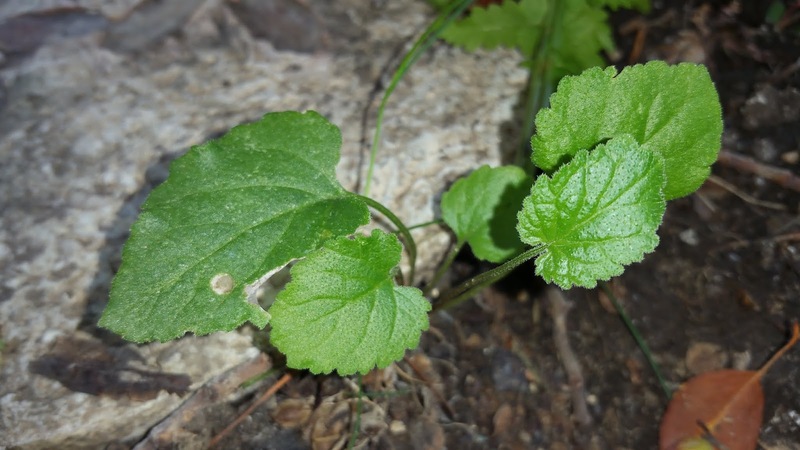 While this weed is difficult to eliminate, it can be managed by vigilant picking and scraping the tops off with a hoe (avoid turning the soil). Eventually you may even weaken the weed and perhaps it won't come back so vigorously next year. I hope this has been helpful, like Keen Koala on Facebook for more great tips by clicking HERE!